We’re skipping Thanksgiving and going directly to Christmas (apparently). 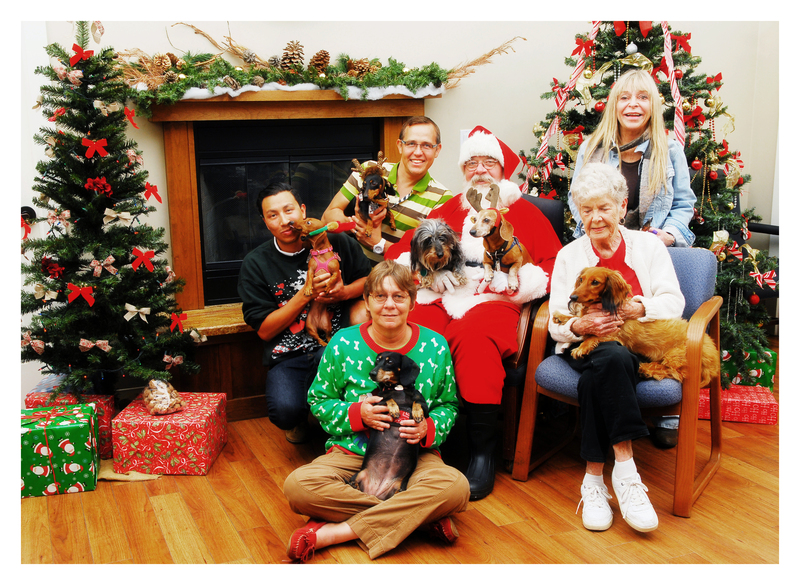 Santa Claus came to town this Sunday at the Humane Society of Ventura County. We took our pack and met some friends for some fun and festive holiday photos. What do think dachshund friends, do you like them!? 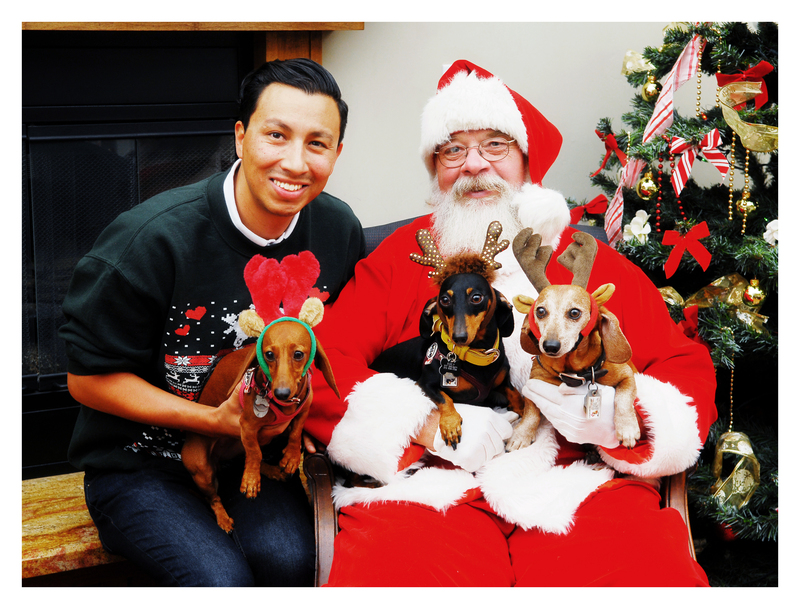 The best part is the occasion helped raised money for our local Humane Society; tis the season to be charitable and help all of those less fortunate dachshunds (and dogs) still searching for a loving forever family. The holidays are officially upon us friends. 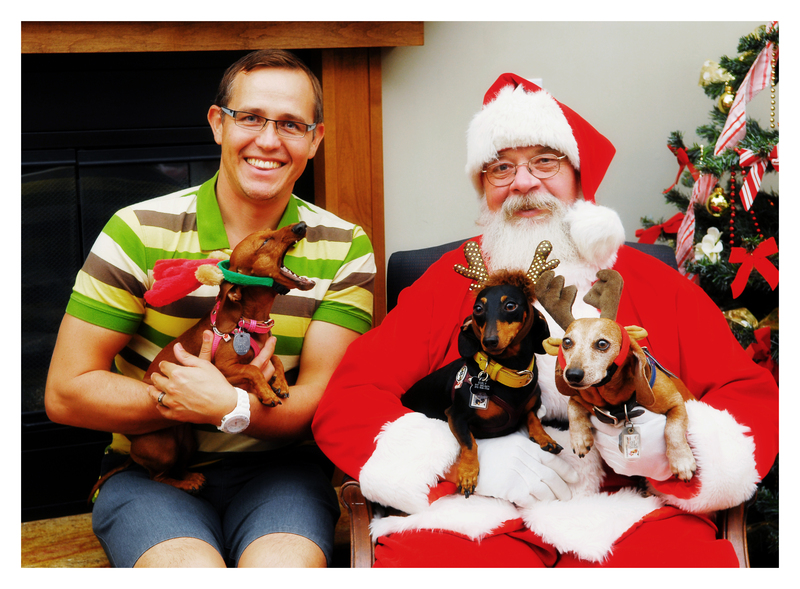 This entry was posted in Emily, Lily, Rufus, Rufus' Friends and tagged #ADachshundsLife #HappyHounds, #black and tan dachshund, #Christmas #holiday, #red dachshund, #smooth dachshund, #WienerDogs #HotDogs, #wirehairdachshund, doxies, longhairdachshund. Bookmark the permalink.